One of Lincoln’s fish and chip shops, the Burton Road Chippy, put themselves forward to compete for the best fish and chip shop restaurant in the UK. This was their first time in the competition and after qualification, mystery shoppers and impressing the judges they made it into the top 10. The winner would be announced at an awards ceremony in London. In this documentary I follow the owners, Des Anastasiou and Lesley Graves from a week before the results were announced. In the run up to the awards ceremony I met up with Des to find out how he was preparing for the awards ceremony and what it had been like to get to this stage. The Burton Road Chippy, who tweet their customers regularly, kept them informed about their time in London. 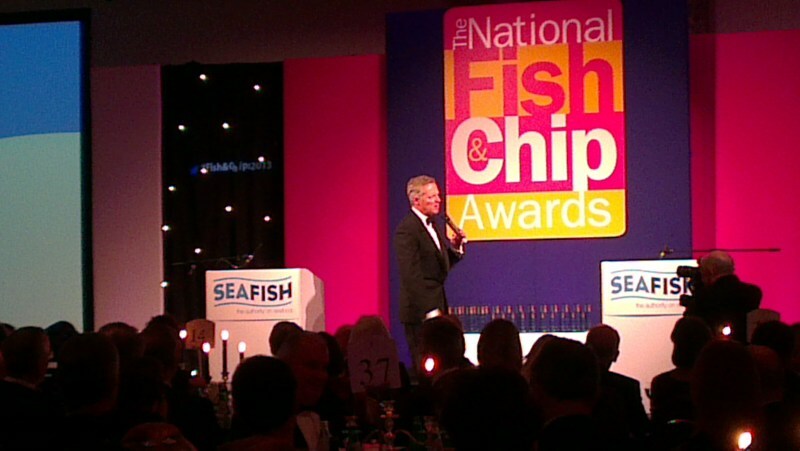 well… off to London later today ready for the Finals of the National fish and chip awards. 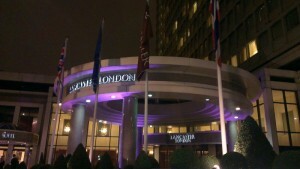 The awards ceremony was held at the London Lancaster Hotel and hosted by comedian and impressionist Rory Bremner. These awards were the 25th of their kind and as one of the judges, Mick Bacon who works for Seafish, said it is a good chance for the restaurant owners to relax. The night began by celebrating all 10 nominations for the best fish and chip restaurants by giving out the awards and with a video of all the finalists in their restaurants. 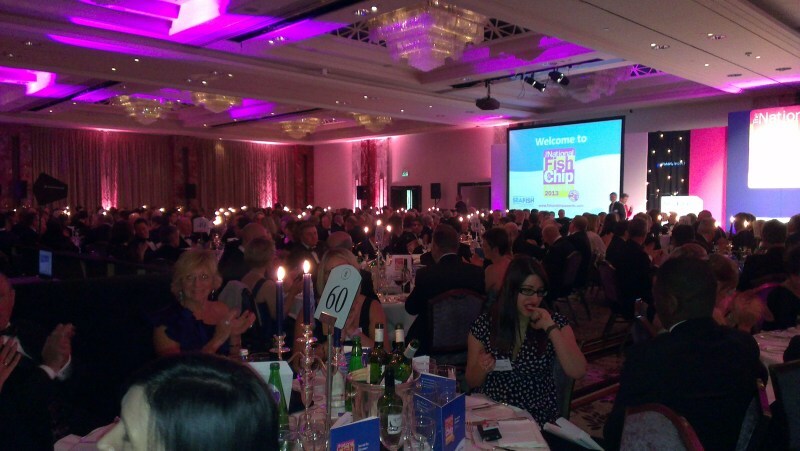 The first award of the night was the Fish and Chip Feast Fundraiser Award which the Burton Road Chippy won. The category was sponsored by the charity Seafarers UK who look after sailors and their families. Throughout the night there were a number of awards all to celebrate the best young frier, contributions to the local community and recognition for staff training. Everything though was running up to the main award of the night. Unfortunately the Lincoln chippy did not win the best overall title. Instead the big award of the night went to The Bay in Aberdeenshire. Sadly the Burton Road Chippy haven’t won independent fish and chip shop of the year. But they still won an award for their fundraising. After the awards Lesley said she is proud of her team and their achievements and said they are still winners. She also said that they would be running in the competition again next time. So see you all next year.